Is SoundScan Under Reporting US Vinyl Sales? According to Vince Slusarz, owner of New York-based vinyl pressing plant Gotta Groove, sales of vinyl may be even higher than claimed. Speaking to the New York Times, Slusarz said: “SoundScan only [logs] about 15% [of sales, because] the majority of the stuff we press, it doesn’t even have a barcode”. US record sales tracker Nielsen SoundScan, like the Official Charts Company in the UK, are reporting a rise in vinyl sales this year. 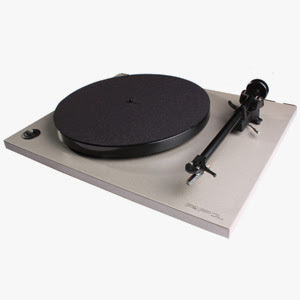 Last year SoundScan reported 2.8 million vinyl sales, up from 2.5 million in 2009. This year Nielsen SoundScan says the increase could be as much as 40%, to just under four million. But if Slusarz figures are correct, and the same is true across the entire range of vinyl sold in the US, sales could actually be as high as nineteen million. The Vinyl Factory have recently teamed up with Island Records to release a very limited12-inch of the new Florence + The Machine single, "Shake It Out." The vinyl is slated for release on October 31, the same day as the new Florence album 'Ceremonials and will be the first in a series of limited-edition Florence +The Machine releases from The Vinyl Factory. The release is limited to 500 copies and features cover photography by Karl Lagerfeld, a sleeve that is screen printed on white card, 180-gram white vinyl and silver inner sleeves. Orange Goblin are set to release their new studio album, 'A Eulogy For The Damned,' on Monday February 13, 2012 in the UK/rest of world and February 14, 2012 in the US. 'A Eulogy For The Damned' is the band's seventh studio album but first for new label home, Candlelight Records. The ten-track offering was recorded at The Animal Farm studio in South London, UK, produced and engineered by Jamie Dodd and mastered by two-time Grammy-nominated Pink Floyd engineer Andy Jackson at Tube Mastering. 'A Eulogy For The Damned' will be released on CD and limited edition colored vinyl in gatefold sleeve. 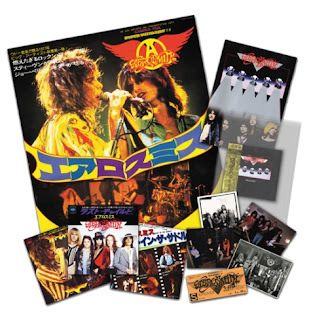 AEROSMITH will celebrate the band's 35th anniversary of their iconic 1976 album, 'Rocks' with a special edition release, which is due out in Japan on November 23. The release will coincide with AEROSMITH's fall tour through Japan, kicking off Tuesday, November 22 in Kanazawa. All housed in a clear, plastic case! Patti Smith, Ke$ha and Adele are set to contribute covers of Bob Dylan songs for a new tribute album. 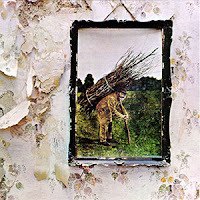 The album is called 'Chimes Of Freedom: Songs Of Bob Dylan Honoring 50 Years of Amnesty International' and will be released in early 2012. All the proceeds from the compilation will be donated to Amnesty International. The compilation will also features covers of the folk legend from the likes of Sting, The Dave Matthews Band, Miley Cyrus and My Morning Jacket. Adele will contribute her cover of Dylan's 'Make You Feel My Love', which also featured on her debut album '19', while Ke$ha will offer a new rendition of 'Don't Think Twice, It's Alright'. It has not been announced which Dylan track Miley Cyrus will cover. 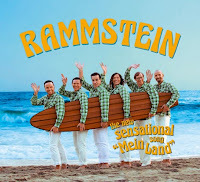 German metallers RAMMSTEIN are set to release a new single, "Mein Land", on November 14 (three days earlier in Germany, Austria and Switzerland). It will be made available as a four-track CD digipak, as well as a seven-inch vinyl with two tracks. In addition to "Mein Land", it includes the previously unreleased song "Vergiss Uns Nicht", as well as remixes of the title cut by BossHoss and Mogwai. "Mein Land" comes off RAMMSTEIN's retrospective of the band's most significant songs, to be released in November in conjunction with the band's new European headlining tour. 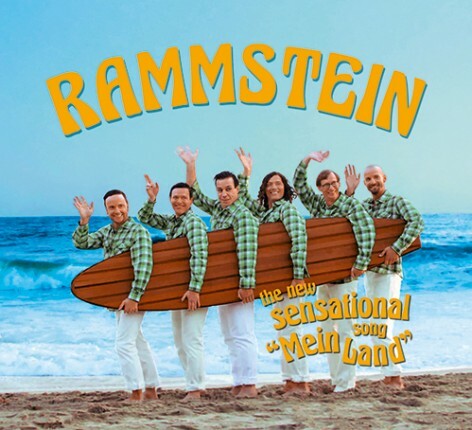 Entitled "Made In Germany 1995 - 2011", the set will include 20 of RAMMSTEIN's best tracks, one new song, as well as the entire video catalogue for the first time on CD/DVD. Keith Hanlon has played in various Columbus bands past and present-Orchestraville, the Twits, the Black Swans. 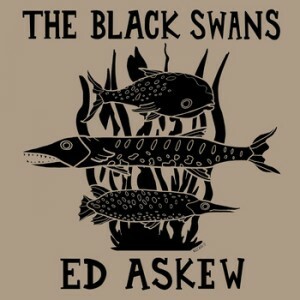 He records albums, too, such as Black Swans releases and the recent full-length debut from the Regionals. 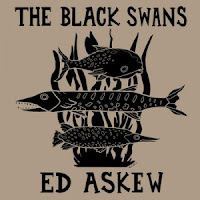 But it wasn't until earlier this year, when the Black Swans pressed a limited-edition 7-inch vinyl single to sell on the road, that Hanlon got the itch to start his own label. How did high school dances end before November 8, 1971? That’s the date that Led Zeppelin released a promotional disc to FM rock stations that would become the world’s most-played radio hit and cross over to teen-packed auditoriums everywhere. “Stairway to Heaven” was an unlikely on-air success at eight-minutes long, but in the early ’70s, FM DJs still could play the full-length version of “In-A- Gadda-Da-Vida,” Iron Butterfly’s 17-minute bathroom break anthem. And “Stairway”’s length, plus the song’s long, quiet build-up, made it perfect for slow dancing until the explosive finale, which provided an outlet for the hormonal energy that the slow dancing generate. The song that Gibson Les Paul legend Jimmy Page described as “crystallizing the band” started taking form in 1970 during Page and Robert Plant’s famous songwriting vacation in rural Wales at a cottage called Bron-Yr-Aur. 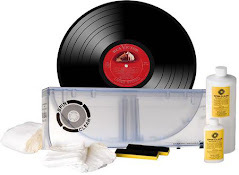 Vinyl is Back But Cassette Tapes? The sonic quality was dubious (much like the standard MP3) and they had a propensity to get wound around their own mechanism while being played, yet the cassette tape had many royal followers. Now it appears they are coming back, at least on a limited basis. The popularity of indie music may be the driving force behind a renewed interest in the often-denigrated cassette recording tape. In 1956, Clarence Henry's "Ain't Got No Home" was released by Argo Records. Because he sings like a frog on the record, further releases would be credited to Clarence "Frogman" Henry. Also in 1956, Elvis Presley attained his third straight number one hit on The Cashbox Best Sellers Chart when "Love Me Tender" reaches the top. The King had led the list since the middle of August with "Hound Dog", which was replaced by "Don't Be Cruel" a month later. In 1957, after a show at the Pan Pacific Auditorium in Los Angeles, local police told Elvis Presley that he was not allowed to wiggle his hips onstage and the local press ran headlines saying Elvis would have to clean up his act. The next night, the Los Angeles Vice Squad filmed his entire concert, to study his performance. In 1957, the Crickets started a three-week run at #1 on the UK singles chart with “That’ll be the Day.” It was a #3 hit in the US where it went on to sell more than a million. In 1960, Ben E. King was at Atlantic Records, laying down his first solo efforts since leaving The Drifters. During the session, King recorded "Spanish Harlem" which would reach #10 in the US and "Stand By Me" which would go to #4 stateside and #1 in the UK. "Come See About Me" was released by the Supremes in 1964. In 1964, 31 year-old Salvatore Philip Bono marries 18 year old Cherilyn Sarkisian La Piere. For a time they performed together as Caesar and Cleo before changing the name of their act to Sonny and Cher. Their union lasted 12 years. In 1970, Black Sabbath played their first-ever live show in the US when they kicked off a 16-date tour at Glassboro State College. In 1973, Gladys Knight and the Pips started a two-week run at #1 on the U.S. singles chart with “Midnight Train to Georgia.” It was the group’s 18th Top 40 hit and first #1. The record won the 1974 Grammy Award for Best R&B Vocal Performance By A Duo, Group Or Chorus and has become Knight's signature song. In 1975, the relatively unknown Bruce Springsteen had the rare honor of simultaneous covers on both Time and Newsweek magazines in the US. In 1979, Mark David Chapman buys a five-shot .38 special for $169. A little over six weeks later, he would use it to kill John Lennon. In 1980, former T. Rex member Steve Took choked to death on a cherry stone, after some magic mushrooms he had eaten numbed all sensation in his throat. Prince's album "1999" was released in 1982. In 1984, at a Grateful Dead concert in Berkeley, California, the band allocated a specific area for fans to make bootleg recordings of the show. The U2 film 'Rattle and Hum' premiered in Dublin, Ireland in 1988. Xavier Cugat died of heart failure at the age of 90 in 1990. In 1995, Gloria Estefan becomes the only pop artist to receive a call from the Pope to perform. In 2008, Forbes.com reported that Elvis Presley was the top earning dead celebrity over the past twelve months, earning over $52 million. Income was boosted by visitors to his Graceland estate who commemorated the 30th anniversary of his death and new ventures like the Elvis Sirius Satellite Radio show. In 2010, twenty-five global premieres of Michael Jackson's "THIS IS IT" took place around the world. Fifteen were simultaneous.